Not quite wine, women, and song… I know it sounds like an odd combination, but it made for a great trip around town. Our goal for the day was to visit some of the oyster farms that produced the oysters we enjoyed at the recent Taste of North Fork. However, we had lots to do before communing with oysters. 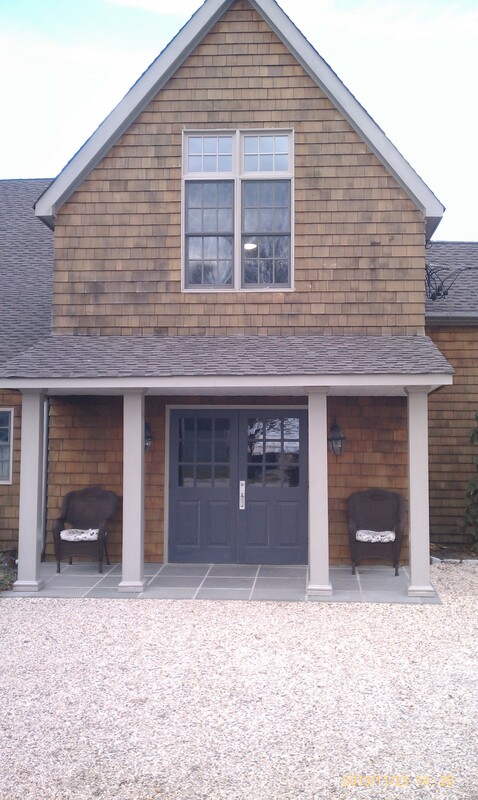 Heading west from East Hampton to the village of Quogue, NY, we visited the Quogue Historical Society’s Pond House. 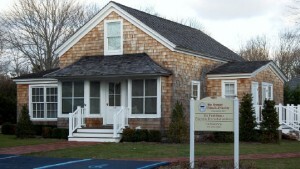 This two-story museum is worth a visit, but we were going to a lecture titled Whaling in Quogue: From Shore to the South Seas. The presenter was Betsy McMahon, a teaching volunteer at the American Museum of Natural History. Speaking to a small group of 10 or 15 visitors, Betsy made the days of whaling come alive for us. Not a fancy PowerPoint presentation, this was an up close and personal discussion of whales, hard life of 19th century whalers, and the many challenges and diversions of whaling voyages lasting two years or more. We gave Betsy and the Quogue Historical Society “two flukes up”, and we suggest you look out for future events on their website. It was lunchtime, and we were hungry. The oyster farms were well out on the North Fork, so we stopped in Riverhead and enjoyed lunch at Star Confectionary, at 4 E Main St. 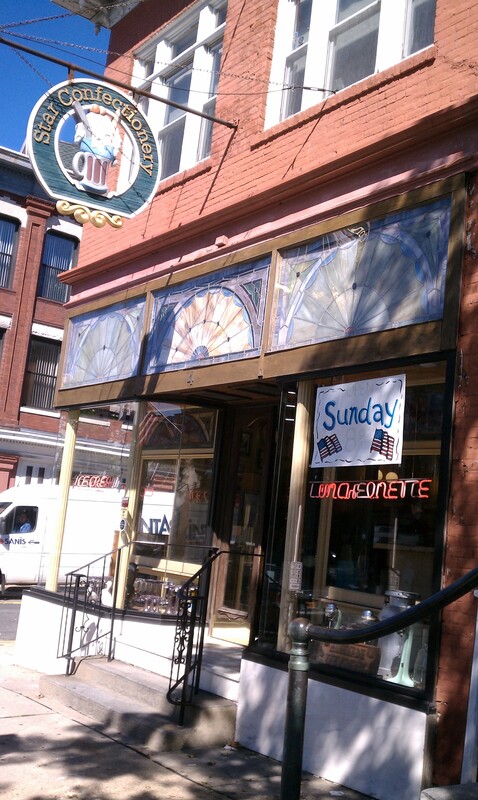 This is a classic breakfast and lunch place that has been in the owner’s family since 1911. With a pressed tin ceiling, cozy atmosphere, and the chef/owner Anthony right there to answer your questions, Star Confectionary is a “one of a kind” experience in today’s chain restaurant world. We first visited in August, enjoying omelets and home fries that couldn’t be beat. Today it was lunch, with a huge plate of fries and some hot sandwiches right off the griddle. The coffee is just right, and plentiful. Our waitress told us that enjoying Sunday breakfast at the Star was her family’s tradition, since before her birth. Now she’ll take pleasure in serving you, if you visit. The “confectionary” in the Star’s name means they do make chocolates, molded in century-old German candy-making molds. Thanksgiving to Christmas, and Easter are the chocolate seasons, and it is a good idea to place an order. That stuff goes. Our appetites satisfied, we headed east on Rt. 25. Marian suggested that we stop and visit a winery or two on the way. We picked Paumanok Vineyards and Jamesport Vineyards, two wineries located on the north side of Rt. 25, at the western end of the North Fork Wine Trail. Coming up first when heading east, Paumanok is in the village of Aquebogue. We entered a busy tasting room with tables of eager patrons trying wines, laughing, and having a grand time. Our tasting room host Salim poured us the white tasting flight we requested. Here is what we tasted, and what we thought. 2012 Sauvignon Blanc ($24.00) – This wine has a tropical clone, but it is restrained. The nose did call tropical fruits to mind, and apricots as well. With great acid on the finish, this wine would be wonderful with seafood, and spicy preparations would be fine. Two corks up for this one. 2012 Barrel Fermented Chardonnay ($24.00) – Malolactic fermentation and barrel time have given this Chardonnay a delicious caramel flavor that would work wonders with lobster or a butternut squash soup. Malolactic fermentation reduces a wine’s acidity and adds a creamy complexity that is recognizable and enjoyable. It is clear the winemaker had the right plan for this wine, and did a fine job of executing that plan. Two big corks up for this wine. 2012 Dry Riesling ($22.00) – Marian and I have been to Alsace on wine tasting trips and love the dry acidity and delicious flavor of Alsatian Rieslings. The winemaker has done an excellent job with this Riesling, which reminded us of our Alsatian adventures. Light, clean, and refreshing, this Riesling has great acid that would support a range of dishes from Asian style shrimp and scallops in a sesame sauce to the complex flavors of porchetta. We loved it, and the Paumanok Riesling gets two Alsatian wine glasses up. Paumanok Vineyards offers cheese and charcuterie plates that you can enjoy on their rear deck. The view is beautiful, and on the right Fall day you’d love to take your bottle and some cheese and cold cuts outside. In Spring and Summer, it would be wonderful. 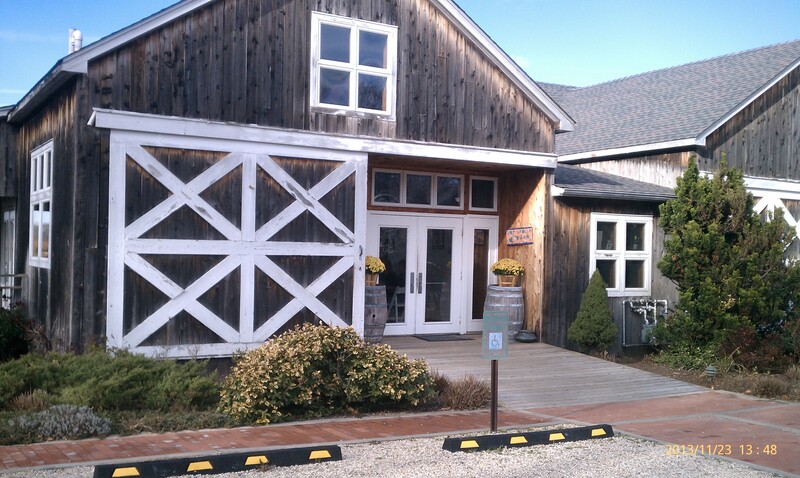 Now, with our flight completed, we headed for Jamesport Vineyards, right down the road. The Jamesport tasting room, located in Jamesport, NY, was also busy with tasters enjoying their wine and the convivial atmosphere. It appeared that several groups of friends were out for an afternoon of fun. After all, who wants to drink alone? Having enjoyed the Chardonnay at Paumanok, we were eager to see how Jamesport interpreted this classic. Here is the story. 2011 Reserve Chardonnay ($21.95) – This wine also received the malolactic fermentation and toasted barrel influence that gave it a delicious creamy caramel flavor. Clearly, this was a wine made with great care, so do take a few minutes to let it open. You will be pleased. Without missing a beat, Marian declared that poached salmon with a creamy dill sauce, and my brussel sprouts dijonnaise would be terrific accompaniments to this wine. No question, it gets two stoppers up. Jamesport Vineyards offers cheese plates to enjoy with their wines, so consider spending some time with the right bottle and the right cheese. Now wined and dined, we headed out in search of the oyster farms. OK, we looked and looked for the Little Creek Oyster Farm. It appeared to be the westernmost oyster farm of the collection from which we enjoyed oysters at the November 10th Greenport Oyster festival. We poked around the Little Peconic Bay coastline, ending up on Nassau Point. No dice, no oyster farm. So we went to “Plan B” and headed to Braun Seafood Co. located in Cutchogue on Rt. 25. These folks know seafood. As their website will tell you, in the summer they go through about 100,000 lbs of seafood per week. That’s a boat load of fish, literally. Two dozen oysters on ice headed home with us. If you read this blog, you know we always take a cooler bag with us. The combo of cooler packs and ice kept those little guys fresh and ready for the grill. Yes, they will pop open quickly. A bit of lemon, a dipping sauce of sriracha mixed with rice wine vinegar, and we had a terrific appetizer. Those oyster farms are still out there, and two of them are near Greenport. I have no doubt we’ll find them, and that we’ll have some lunch at First and South and report on that. I love the concept of wine on tap. So until then, enjoy your trip around town, and the Thanksgiving holiday. Hiya, Little Creek Oysters here! We are sorry you couldn’t find us on your recent visit. It sounds like you managed to brave the winds and weather during Greenport Harbor’s Oyster Fest on the 10th and we hope you enjoyed the oysters. Right now so much of what we do is out on the water, with shoreside access at a premium and a shrinking working waterfront. We look forward to “coming ashore” next year one way or another, possibly with a shellfish farmstand and other shoreside activities. We often bring people out on the farm for a tour and a firsthand look at the process (caution- we’ll put you to work!) Perhaps you might help get some of the baby oysters in the water with us in the spring! Your oysters were excellent and we will visit you in springtime to help with those baby oysters. Have a happy holiday season!